More than 4,000 people are homeless on the streets of Portland. Upwards of 11,000 more people are dangerously close to being homeless. 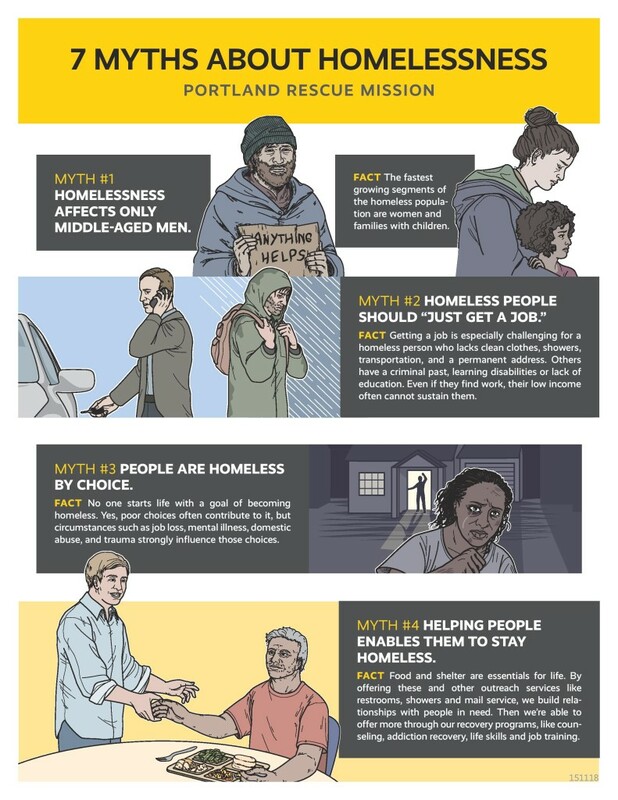 Here is our “7 Myths About Homelessness” infographic we hope will serve as an informative and helpful resource to you. (Find three more myths below). 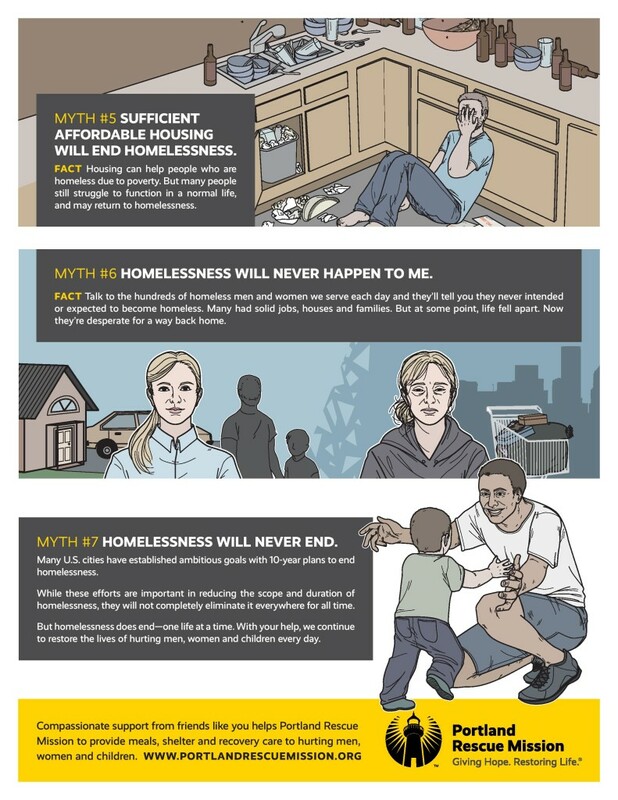 And here are three more additional myths that people believe about homelessness. 1. Homeless people are dangerous. Homelessness is often associated with drugs, alcohol, violence and crime. So yes, life on the streets can be perilous for homeless men and women. But very few crimes are committed by homeless people against those of us who try to help them. At Portland Rescue Mission, the attitude we see most often from homeless men and women is gratitude. 2. Homeless people are lazy. 3. If homeless people wanted to, they could pull themselves out of it.